5 years, €70 million - what would you do? 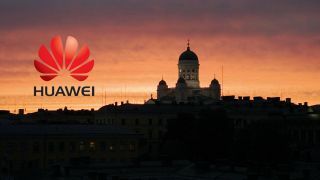 Chinese smartphone manufacturer Huawei has announced that it plans to build a new R&D centre in Finland as it looks to strengthen its commitment to Europe. The firm has big aspirations, aiming to become one of the top three smartphone manufacturers in the world, and its €70 million (£56 million) investment for a new, much chillier facility is certainly a clear statement of intent. Set to be located in Helsinki, Finland the R&D centre will see Huawei focus initially on both smartphones and tablets running on the Android and Windows Phone 8 platforms. That €70 million isn't going to be splashed all at once though, as Huawei is going to take five years establishing the new R&D base which will eventually employee around 100 people. Huawei is yet to really take the world by storm, with no significant stand out product to speak of just yet, but the budget focussed Ascend G300 and Ascend G330 have impressed us. Rumour has it the firm is planning some big things for 2013, and TechRadar will be keeping an eye out for any new announcements at CES 2013 and MWC 2013.